Primary ciliary Dyskinesia (PCD) is rare genetic disorder with a recessive autosomal transmission linked to a structural and functional abnormality of the motile cilia. In 50% of PCD cases, the Kartagener syndrome (KS) is implicated[1, 2]. KS is defined by the triad of dextrocardia, chronic sinusitis and bronchiectasis. The global incidence is 1 in 4000 to 40 000 live births. The diagnosis is difficult in children and must be suspected in the case of recurrent respiratory infections. In Africa, the majority of cases have been described in North Africa . In Côte d’Ivoire, to our knowledge, no case has been reported to date in infants. We therefore, present the clinical case of an infant that we received at the age of 3 months in the medical pediatric department of the University Teaching Hospital of Bouaké (Côte d`Ivoire) with respiratory problems. The diagnosis of KS was made late in the course of follow-up at the age of 15 months. The objective of this work is to describe from this case, the main epidemiological, diagnostic, therapeutic and evolutionary aspects of this genetic pathology in our context of developing countries. A 3 months old infant, A.C was admitted in the medical pediatric ward of the University Teaching Hospital of Bouaké in May 2015, for respiratory difficulties. The medical history revealed a sudden onset 3 days before his consultation, marked by a dry cough and an unrecorded fever. Other backgrounds were without particularity. Infant A.C was exclusively breastfed, with a normal growth profile; however, he previously had two episodes of respiratory difficulties respectively at 28 and 100 days of life, treated as outpatients. The physical examination noted a temperature of 37 degrees Celsius, a respiratory rate of 55 cycles per minute, a nasal obstruction, a costal draw, and a whirlpool. The heart rate was 155 beats per minute with heart sounds perceived to the right. There were bronchial rales at the pulmonary auscultation. The chest X-ray showed a reversal of the tip of the heart to the right without lung injury. The performed Echocardiagraphy revealed a dextrocardia with good atrioventricular and ventriculo-arterial concordance. The septa were intact without intracardiac abnormalities. Electrophoresis of hemoglobin was normal as was blood glucose and PCR for HIV. There was no family atopy. These explorations led to the initial diagnosis of tracheomalacia associated with isolated dextrocardia. The prescribed treatment was oral calcium and saline for nasopharyngeal decongestion. During the follow-up, the infant presented several episodes of rhino-bronchitis with nasal and bronchial congestion. The infant received during the exacerbation periods, a nasopharyngeal decongestion with saline, sessions of nebulization with salbutamol sometimes associated with dexamethasone. Suspected bacterial infection in the presence of hyper leukocytosis-associated fever and elevated C-reactive protein above the normal value motivated the administration of oral amoxicillin-clavulanic acid therapy. Apart from the respiratory manifestations, the growth profile of the infant during the follow-up period was marked with a break of his weight chart and a psychomotor retardation. Autonomous walk was not acquired by the age of 15 months. The thoracic computed tomography performed at 15 months under difficult technical conditions confirmed the dextrocardia and the absence of infectious foci. It also revealed that the diameter of the bronchi was abnormally increased above the normal range for his age. Sinus exploration could not be performed. In total we have retained the diagnosis of Kartagener syndrome in this 15 month old infant. This work aims to describe the main epidemiological, diagnostic, therapeutic and evolutionary aspects of KS from a clinical case. This syndrome combines chronic sinusitis, bronchiectasis and dextrocardia. It was first described in 1904 by Siewert. In 1933, Manes Kartagener confirms the autosomal genetic pattern and attributes it to a primary ciliary dyskinesia (PCD) by the absence of the outer arm of dynein, the main protein of the cilia . To date, 15 genes have been identified, and DNAI1, DNAH5 gene mutations account for about one third of KS/PCD cases . It is a rare hereditary disease with an estimated incidence of 1 in 4,000 to 40,000 live births. 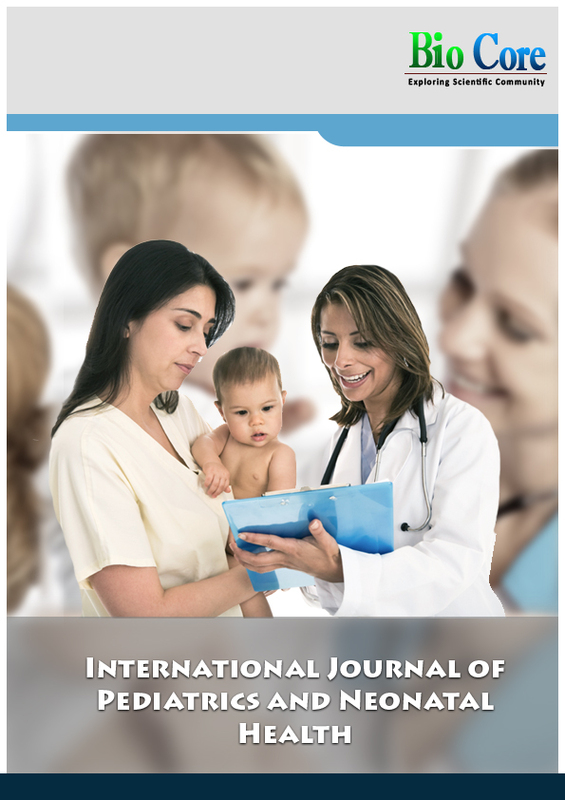 The age of diagnosis of this condition varies according to the authors ranging from neonatal period to the adult age [7-10]. We find a case in a boy of 15 months, probably by chance because this syndrome is equally distributed in both boy and girl. Although in Europe, Asia and America many cases have been described in children, in Africa publications on this subject are rare[7, 11, 12]. From the diagnosis point of view, the functional signs especially respiratory, are not very specific and do not point to the disease at the beginning. The majority of patients are seen in consultation several times by the doctor, more than 50 times according to Sommer et al . And so, the diagnosis is made late in the childhood, on average between 10 and 14 years . The circumstances of discovery are diverse, but the peculiar sign is the recurrent a broncho-pneumopathy leading to sick notes as reported by several authors[13-17]. 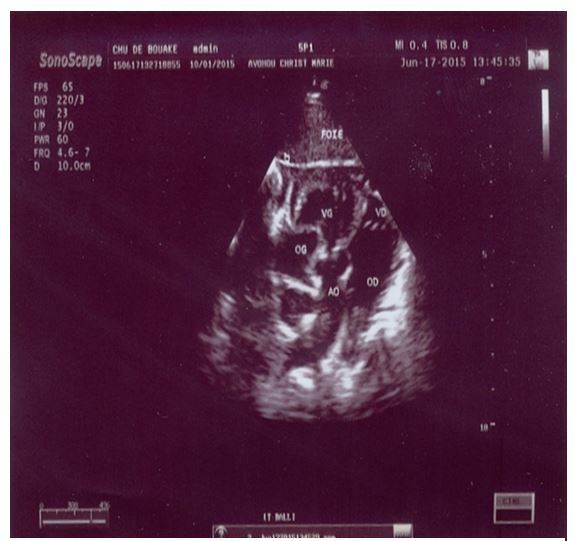 At the age of three months, our infant presented a dyspnea. It was diagnosed and treated as a tracheomalacia in the absence of pulmonary parenchymal lesions and intracardiac abnormalities. Infectious embryo-fetopathy and congenital or acquired immunodepression of this infant were considered and discussed. But these diagnoses were reversed due to the negativity of the biological assessment, notably the serologies of syphilis, rubella, toxoplasmosis, the absence of known factors of immunodepression and HIV-PCR. The discovery of the dextrocardia at 3 months of age on the X-ray and the echocardiography associated with a history of three episodes of respiratory difficulties should have alerted the medical team to the possibility of Kartagener syndrome. 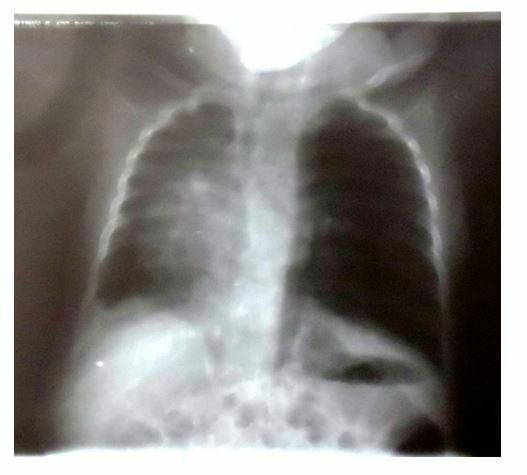 The recurrence of the respiratory manifestations during the follow-up of the infant made it possible to retain on the basis of the imaging argumentations notably the thoracic computed tomography the diagnosis of Kartagener syndrome. Abdelilah also diagnosed his reported cases on the same basis . In our case, the lack of technical equipment’s at the hospital did not allow the genetic study in search of a mutation. Genotyping using the founding effect locution makes it possible to highlight the mutation of the DNAI1 and DNAH5 genes that encodes the main dynein protein of the cilia . Our infant did not receive physiotherapy due to the lack of qualified personnel in the unit. We resorted just like Madiha et al. in Tunisia with antibiotics, bronchodilators and corticosteroids during the periods of exacerbation. In extreme cases, authors such as Taïna et al. proposed in adults the use of surgery such as the anterior lobectomy or segmentectomy. Pulmonary transplantation and heart-lung transplantation have been used successfully in some patients. The evolution of Kartagener syndrome is unpredictable. It can be laced with complications such as chronic respiratory failure leading to death. The evolution of KS/PCD varies from subject to subject; it depends in particular on the precocity of the diagnosis and the early start of the treatment. It is marked with the repetition of bronchial infections with extension of bronchiectasis leading to a progressive destruction of the lung parenchyma. Any delay in the diagnosis of this pathology is source of misdiagnoses with several investigational tests, inappropriate treatments, family stress leading to complications such as: pulmonary fibrosis, high pulmonary blood pressure, right heart failure etc., this is the case of our patient who already had right heart failure. Furthermore, in the case of our male infant, in addition to his abnormal growth profile and the psychomotor retardation there might be a fear of possible infertility later in his adulthood due to the immobility of the flagella of his spermatozoa which share the same ultra-structural defect as respiratory cilia. The ERS Task Force recently published some therapeutic recommendations in the KS/PCD highlighting their low levels. The treatment, purely symptomatic is based on antibiotherapy, bronchial drainage and local ENT treatment. The psychomotor retardation of our infant also raises the problem of finding another genetic abnormality associated with Kartagener syndrome and indicates the need to perform a genetic study. Kartagener syndrome is a rare and debilitating hereditary disease. It should be considered in any child regardless of age with episodes of recurrent respiratory tract infections associated with a dextrocardia. Early diagnosis and improved prognosis require a multidisciplinary collaboration including the pediatrician, the radiologist and the geneticist. Contribution of the authors: All authors contributed intellectually to the preparation and revision of the manuscript. They all approved it before submission. Conflicts of interest: The authors declare that they have no conflict of interest in relation to this manuscript. Acknowledgements : We thank the staff of the pediatric department of the University Teaching Hospital of Bouaké involved in the study. Lioté H (2004). Etiological investigation in front of bronchiectasis of the adult. Rev Pneumol Clin 60: 255-264. Tamalet A, Blanchon S (2013). Congenital ciliary dyskinesia. Focus. Rev Pneumol Clin 69: 217-224. Bessaci-kabouya K, Egreteau L, Motte J, Morville P (2005). Primary ciliary dyskinesia with neonatal revelation: about a neonatal observation. Arch Pédiatrie 12: 555–557. Losa M, Ghelfi D, Hof E, Felix H (1995). Kartagener syndrome: an uncommon cause of neonatal respiratory distress. Eur J Pediatr 154: 236–238. Gupta S, Handa KK, Kasliwal RR, Bajpai P. A case of Kartagener’s syndrome: Importance of early diagnosis and treatment. Indian Journal of Human Genetics 2013;19(2):266-9. Arunabha D, Sumit R, Sourin B, Sabyasachi C, Subhasis M (2014). Kartagener’s Syndrome: A Classical Case. Ethiopian Journal of Health Sciences 24:363-8. McManus IC, Mitchison HM, Chung EM, Stubbings GF, Martin N (2003). Primary ciliary dyskinesia (Siewert’s / Kartagener’s Syndrome): Respiratory symptoms and psycho-social impact. BMC Pulmonary Medicine 3:4.